How many times have you heard someone say something like, “the world’s population is growing and we need to dramatically increase our food production”? And then, heard someone talking about how more pesticides, fertilizer and genetic engineering is going to help us do it. While the intentions of these people may seem good, these proposed solution are not as practical and sustainable as we might think. America began using industrial agriculture after World War II and the system has since dominated the majority of our farmland. At the time it was considered one of our greatest triumphs and was expected to enable us to feed our vastly growing population. 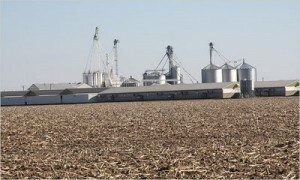 Industrial agriculture essentially uses the farm like a factory. It relies on “inputs,” such as pesticides and fertilizers to produce “outputs,” livestock and crops. The objective is to increase production while controlling costs through monocropping, and replacing solar energy and manual labor with machines and chemicals. As a result of using this method, we’ve become dependent on these technological and chemical “fixes” and basically forgot how to farm. This all wouldn’t seem so bad as long as we’re producing food and doing so at an efficient level, right? I agree. But recently, agriculture experts, farmers, scientist and policy makers no longer see this method as a viable option and it may in fact, be dangerous to our environment, public health and rural communities. What many don’t realize is that there are hidden costs of using this system, not to mention the fact that it actually isn’t so efficient at all. There was a time when we produced 2.3 food calories for every 1 fossil fuel, but now we get 1 food calorie for ever 10 fossil fuel used — that’s a 23-fold reduction in efficiency. Seem backwards? Wait until you hear the trade off– it’s ruining our environment. To begin, we are exhausting and polluting our soil and water. Industrial agriculture uses 70% of the planet’s fresh water and contributes to nearly 75% of all water-quality problems in the nation’ rivers and streams. It is also responsible for ? of global greenhouse gas emissions and fully dependent on oil for transport and pesticide-fertilizer production. Furthermore, pesticides are killing bees, bats, amphibians and other beneficial species which is threatening our biodiversity. And lastly, all those pesticides being used to grow our food — where do you think it’s all going? That’s right, in our own bodies. Pesticide exposure can lead to a number of health effects, including cancer and autoimmune disease. So overall, industrial agriculture exhausts the natural resources we all depend on, thus it is unsustainable. Proponents of this industry, which mainly include corporations that produce and sell pesticides and fertilizers, have farmers, politicians and consumers believing that industrial farming is the only way to feed the world. But as I pointed out, it won’t last long. Organic and other non-industrial farming are more than capable of feeding our world and are far more reliable. We need to change the way we farm. We need to go back to oldschool farming. Sustainable farmers build healthy soil by planting a variety of crops and rotating them. Healthy plants keep pests under control without hurting the bugs we need, such as pollinators. 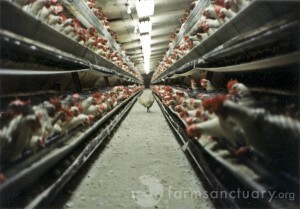 Animals are raised in farms, rather than cramped factories and fertilizer made from compost or livestock rather than chemicals. What can you do as a consumer to support old-fashioned farming? Redirect you dollars. Buy from local farm markets and do some research about how your food is being grown. We can also stand up and speak out for sustainable farmers and encourage politicians to invest public funds into their methods. Make community-scale farming possible and profitable again.